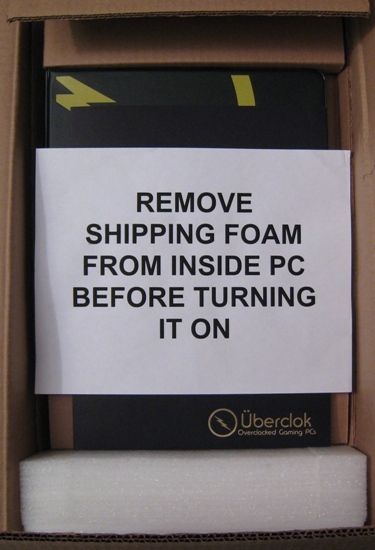 The system arrived in a plain cardboard box with the Überclok logo on the side. Inside, the case was well-packed, along with an accessories bag, keyboard, mouse, an owner's binder, and some good advice. 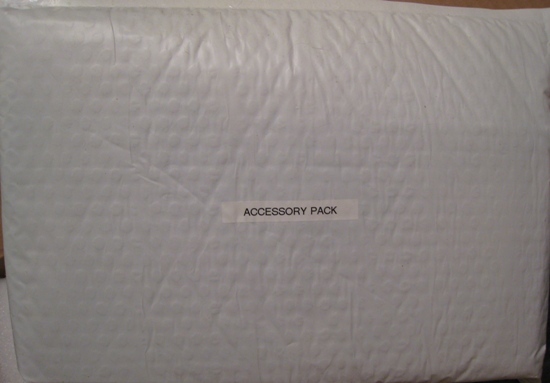 The accessories bag carries extra cables, DVI-VGA adapters, and the like. 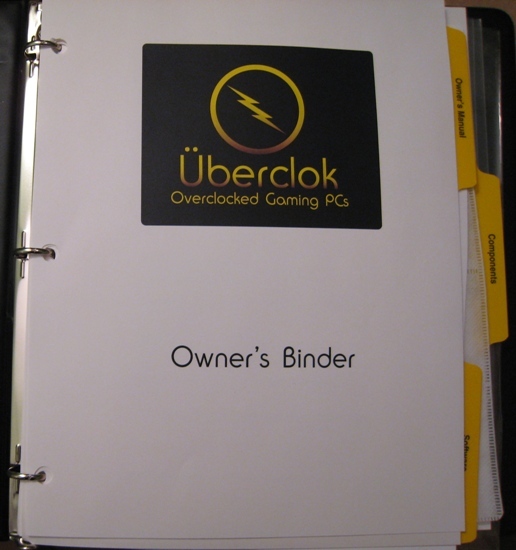 The owner's binder is well done. It includes all of the personal information on the system, such as product keys, serial numbers, etc., and manuals and CDs for all components. 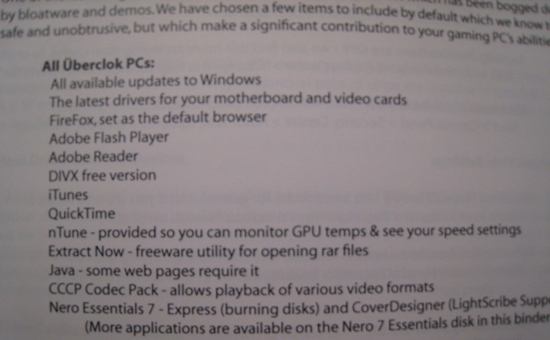 It also has additional information about the system itself, loaded software, and some basic troubleshooting steps. 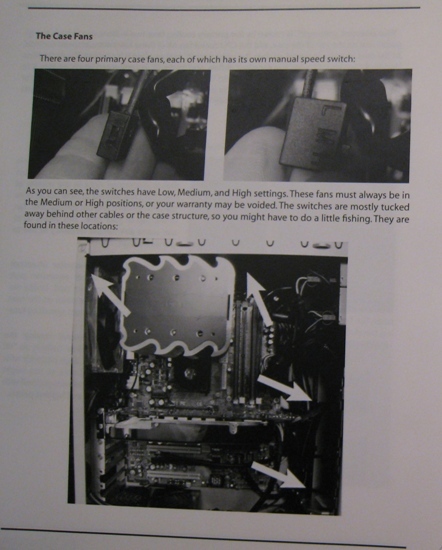 Labeled pictures of the actual case interior are included throughout. This is a very nice touch. As also seen above, Überclok warns you that overclocking beyond their limits will void your warranty. Finally, some additional installed programs are documented that actually are good additions and would not generally be considered "bloatware" (DivX, iTunes, Firefox, etc.). One thing notably missing from the Software section is a restore disk - only the O/S disk is included. Überclok informed us that they are currently working on a solution to this; once complete, they do plan to include restore disks at no extra charge. With a system of this type, we might also expect to see a few benchmark scores up front, just to give us a warm fuzzy feeling as a consumer that it has been powered up and tested prior to shipment.